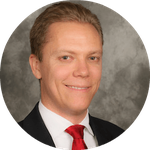 Trace Mayer recently appeared on FOX Business and was asked this question by host Melissa Francis: "Bitcoin is just insane and it has really taken off. People are paying attention to it. But is it for real?" His response: "Yes, it is definitely is for real. I remember the first time I encouraged people to buy bitcoins it was around a nickel per bitcoin and now it is around $133. So those people who would have followed that advice would have been able to participate in one of the largest bull markets in history, and this bull market is not even close to being over." Why is this bull market not even close to being over? Price discovery is always an interesting phenomenon. There are always bulls and always bears. The scoreboard is kept in profits and is the only opinion that matters. The next decades, and particularly the next six months, are going to be extremely exciting with the bitcoin price. You may be tempted to sell but seller's remorse is a terrible feeling. If you have done the analysis and taken the risk only to sell out before realizing the vast majority of profits , it can leave a particularly bitter taste in one's investing mouth. It is even worse than just missing out on an opportunity. After all, who wants to be like the Litecoin trader with seller's remorse? One sad tale on Reddit describes how a buyer picked up 80,000 litecoins at $0.068in January 2013 and sold them at $0.20. Litecoins reached $5 before moving down to around $3.5o today. So while he realized a 194% return, or $10,560, he missed out on a 7,250% return, or $394,560 and is feeling seller's remorse. Kind of the opposite of David Choe who could have gotten a few thousand dollars for painting a mural at Facebook but instead got stock that turned into $200 million. You have to be in it to win it! Why the Price of Bitcoin is "Melting Up"
In financial terms, a price can "melt up" when it is significantly undervalued. I wrote about this Bitcoin price melt-up starting on 21 March 2013 and predicted that "I think a fair value price for bitcoins is around 3-7 bitcoins per ounce of gold." With the ratio currently at about 10 bitcoins per ounce of gold; that prediction may turn out to be overly conservative and now we are seeing it happen. Then we have financial fools like Michael Pento, others who have not been around the Bitcoin market very long, and still more who have not done very much substantive due diligence except to reference the bitcoin price chart. All of them loudly proclaim there is a Bitcoin bubble. But they missed out on the previous large gains in the Bitcoin price and they know it by looking at their own balance sheets. Scoreboard! So, why would any rational bitcoin holders lend them any creditability? Instead, how about we freshly analyze the state of the Bitcoin economy, apply where we think the price could go, and then come to a conclusion on what long-time members of the Bitcoin community should do to profit the most. So who is Jeremy Liew? Well, he was\named to the Forbes' Midas list in 2011 and 2012, has received an MBA from Stanford and is a partner and managing director at Lightspeed Venture Partners, which has backed over 200 companies and is currently investing out of a $675m fund. He also recently wrote an article for TechCrunch titled Why VCs Love The Bitcoin Market. Jeremy Liew is not alone among his Silicon Valley VCs and Wall Streeters. There's also Adam Draper, an established VC, who will 'incubate 5-7 Bitcoin related companies in our next batch'. Why? A rise in the price of bitcoins represents a wealth transfer from holders of some other assets to holders of bitcoins. Having been involved in Bitcoin for such a long time and having known, worked with and strategized with so many people therefore I really hope the Bitcoin community gets to benefit from this massive upcoming wealth transfer and not sell out early like the Litecoin trader. [youtuber youtube=\'http://www.youtube.com/watch?v=X4d_29vJlB4\']The long-term trend of Bitcoin is extremely positive. I like to look at the 200 day moving average to filter out the daily noise.To maximize your profits from this long-term secular crypto-currency bull market you merely need to (1) hold onto your bitcoins, (2) restrict supply as much as you can (this is very important!) and (3) make any of these newcomers, like the VCs and Wall Street sharks, pay extremely dearly for whatever trickle of bitcoins you do choose to spend. Notice I said spend, like buying a new Porsche or one of 500,000+ products from the Bitcoin Store, and not sell as in like USD, EUR, etc. Currently, there over 14,500 people waiting for MtGox verification of their trading accounts and if they are looking to use Bitcoin as a transactional currency for purchases from BitSpend or Silk Road then the price is irrelevant to them. And then we have a ton of Silicon Valley VCs and Wall Streeters fighting over each other to establish multi-million dollar positions. But that amount of capital is going to look tiny compared to what is scheduled in about six months. There are only about 80,000 bitcoins of 'float' on a daily basis. Remember, prices are set at the margin. Simplistically and only for an example in aggregate, this means that if there is a positive funds flow into bitcoins of about a mere $4m then it will move the price by about $50. So, obviously, if there are any large blocks of bitcoins, 'walls', are gobbled up extremely quickly by this hot money from VCs and Wall Streeters. If that float can be reduced from 80,000 to 40,000 then the same $4m will move the price $100. That means VCs and Wall Streeters will have to pay more dearly to get any bitcoins. Squeeze them for all they are worth! And if you start acquiring bitcoins on a regular basis, as a service provider or merchant and are using a service like Bitpay then increase the percentage you hold as bitcoins or you can regularly buy bitcoins with a percentage of your paycheck to further dry up any other supply. Solution: Remove the walls and dry up any other supply of bitcoins. You know what's cool? A $150 per bitcoin? No, a $1m per bitcoin. It may take a decade to get there but the fiat currency market coupled with fractional reserve banking is the largest bubble in the world and since the Great Credit Contraction has started along with Bitcoin being a censorship-resistant honey badger of a currency it just may eat these bankster cobras.